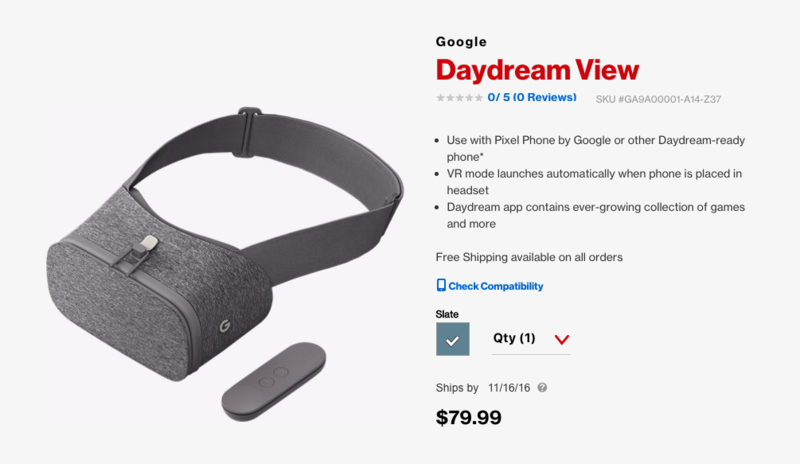 The Daydream View VR headset from Google is now available for pre-order through Verizon, priced at the same $79 as it is on the Google Store. However, if you pre-order through Verizon, it’s always possible you will receive the device before you would from Google. Currently, the Google Store claims the Daydream View ships within 2-3 weeks, while Verizon states it will ship by November 16. Regardless of where you choose to order it from, you should have the headset in time for your turkey feast on Thanksgiving. Of course, to utilize this device, you will need a compatible phone. As of right now, that would be the Nexus 6P (at least from what the 6P says running Android 7.1.1), Pixel, and Pixel XL. Do you have one of these ordered already?